When the guys behind Brighton Bierhaus heard that “The Jury’s Out” was up for sale and could potentially be redeveloped they had to step in. There were once twenty seven pubs on Edwards Street and if this one had closed there would have been just one left. Pubs that were once the cornerstone of communities are slowly being lost as they are transformed into houses and shops across the country. Originally a regency house, the ground floor was converted to a pub around 1830 as the Thurlow Arms and likely named after the former Lord Chancellor Baron Thurlow. The pub, which is the only listed building on Edward Street, is only a little over a mile from the brewery and just off the Old Steine. 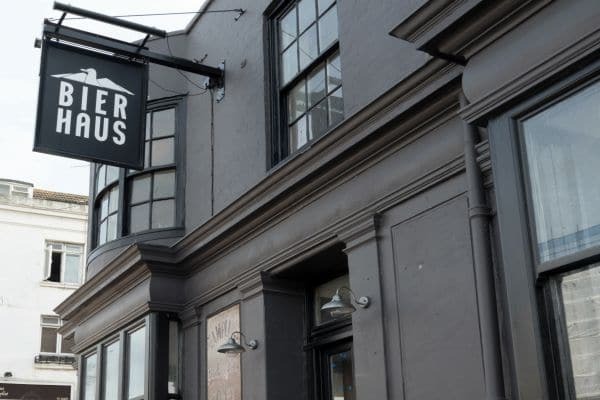 Ollie Fisher, Director of Brighton Bier, said “we could not see another pub of such importance close in Brighton and wanted to step in, we just couldn’t see a building with such potential go to waste and a pub with nearly 200-years of heritage be lost”. Brighton Bier has always had a close affinity to the area, having started brewing at the Hand in Hand pub a short walk away in Kemptown. Stephen Whitehurst, Director of Brighton Bier, said “we’ve always thought this ‘East Central’ part of the city has a huge amount to offer; the amount of investment and regeneration taking place in the area shows that others think the same”. 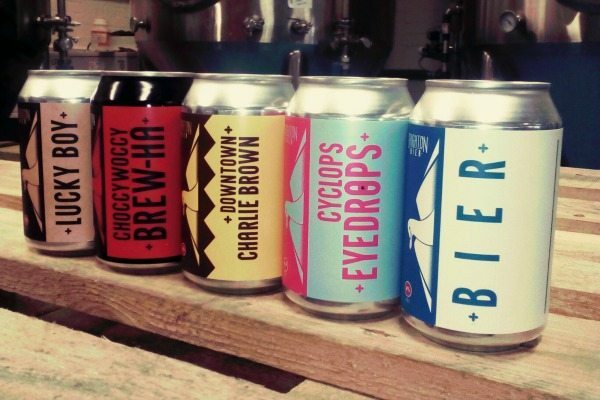 Brighton Bier have gone from strength to strength in recent years, and we are not just referring to the ABV of their beers. Established in 2012, they are very proud of their Brighton roots and this is key to their beers and the integrity of the brewery. From the outset the ambition was to play a lead role in the revival of the city’s once proud and independent commercial brewing heritage, and put Brighton firmly back on the brewing map. They certainly achieved this in 2016 when they won two gold and one bronze medal at the International Beer Challenge and were named as country winner of the World Beer Challenge for their Downtown Charlie Brown beer. 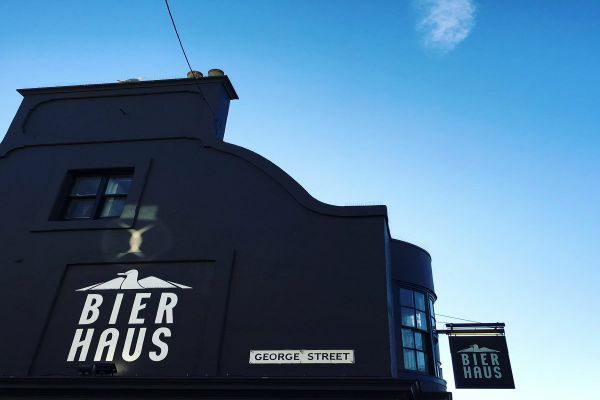 Operating primarily as the tap room for Brighton Bier, the Bierhaus has 6 cask lines and a further 13 keg lines featuring a full line up of beers from across the world. In addition to this they are one of the only pubs in Brighton to feature 4 dedicated keg lines for wine, including a Prosecco line. The pub will not be offering food but they will have snacks on offer in the near future to help soak up all those amazing beers. Great beer here, as expected from Brighton Bier. No kitchen but can order food to be delivered from PizzaFace.